After 9/11, Muslim leaders found themselves trying to explain their faith and the campaign continues today. In the decade since 9/11, local Muslim leaders said they’ve been forced to come out of their religious bubble, forced to educate and to communicate. Their words are in response to the backlash of hate crimes in the initial days of 2001. 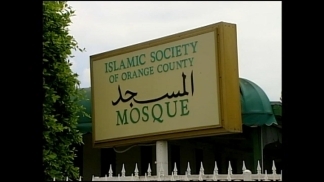 “(The) Muslim community has realized that it is very important for people to know us more,” said Muzammil Siddiqi, religious director of Orange County’s Islamic Society. Siddiqi found himself sitting next to President Bush just a few days after the attacks. He had been asked to speak at an interfaith service in Washington D.C.
Today the religious leader says the message he shares is the same as ten years ago. Organizers of the Council on American Islamic Relations said they work every day to prove their patriotism. Officials within the civil rights group contend the struggle that exists for them is similar to that of other minorities. Tags: 9/11 Backlash Campaign Faith Leaders Muslim today.